I have been saving many DIY art ideas in my pinterest (you can follow me here ) and as I was looking through them I thought why not share them with all of you. They are all pretty easy and if done well can look quite amazing and interesting with the added bonus that once praised by your friends you can state that you are in fact the artist! The way I see it DIY art is not only fun but rewarding. So let's start with the piece above. Paint your lips in different colors blot on a piece of paper and chose a fancy frame to increase the work's importance and give it weight. 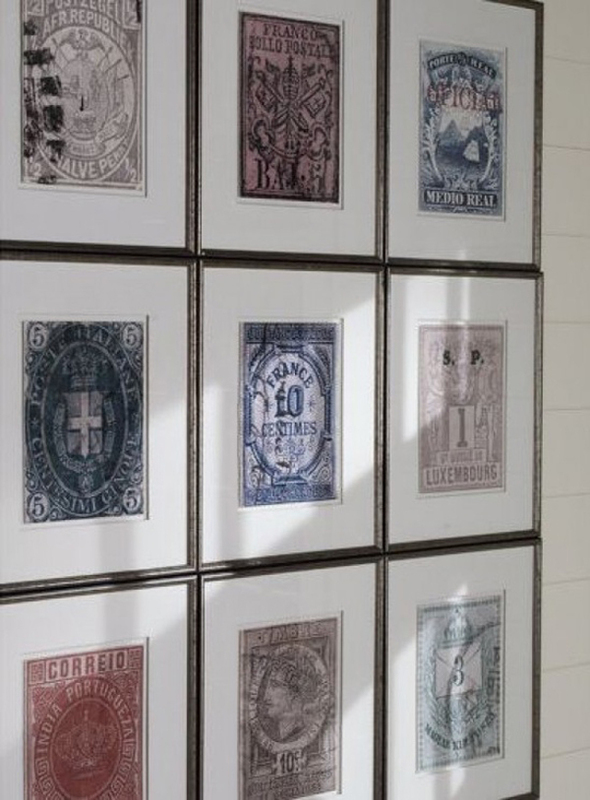 For this one you can enlarge some old stamps and print on thicker and nicer paper and frame individually. What makes this so beautiful is that you can appreciate the detail in each stamp because they are larger, and because they are presented as a collection. Being part of a large group gives more importance to the project. Here are some other good examples of wall galleries. Pick some colorful shopping bags and just frame them. Its almost too easy to be so cute. Here the array of colors and the fact that the pieces cover the entire wall makes the project the main event of this room. I adore this one. I think it was among my first pins when I joined pinterest. With so many beautiful book covers you could try and scan the cover of your choice and if you have photoshop use the watercolor filter, print it and then enlarge it. Here is a post on another way to go about DIYing this one with a beautiful result as well. Use a silhouette and with painter's tape you can paint one part first, let dry and then paint the other. The interesting thing here is the color selection and the way its framed. Easy! The reason why I think this looks so beautiful is because the painting follows the color scheme of the bedroom but in a different pattern and just plays so beautifully with the leopard chairs as well. And you remember my easy and kid friendly DIY above right? Perfect for a playroom. I have two friends who made their own versions of this one. I will get photos of them to share with you. They came out so fab! And this one could be interesting. Pick out a shape, put glue, and just use sequins or glitter to fill it in. The scale is what makes it so attractive as well as the shiny texture within. I hope I have inspired you in some way. Do you have any good art DIY's you want to share with me? I'm so trying that lip print project sometime! 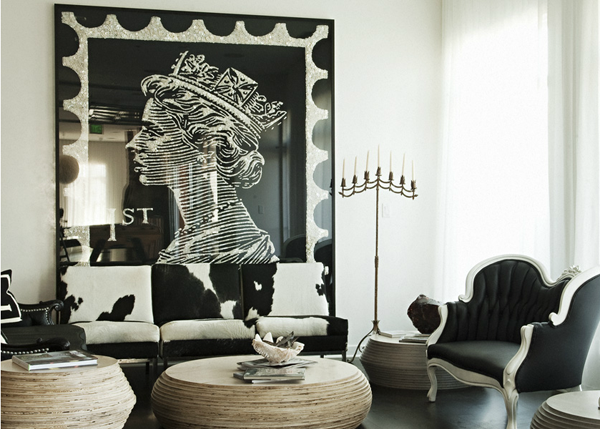 And how fabulous are those leopard chairs?! I love the lips and dots and oh I wish I could re-create the sequin art...been obsessed with it forever! These are great! Need the make the first one for our new place. 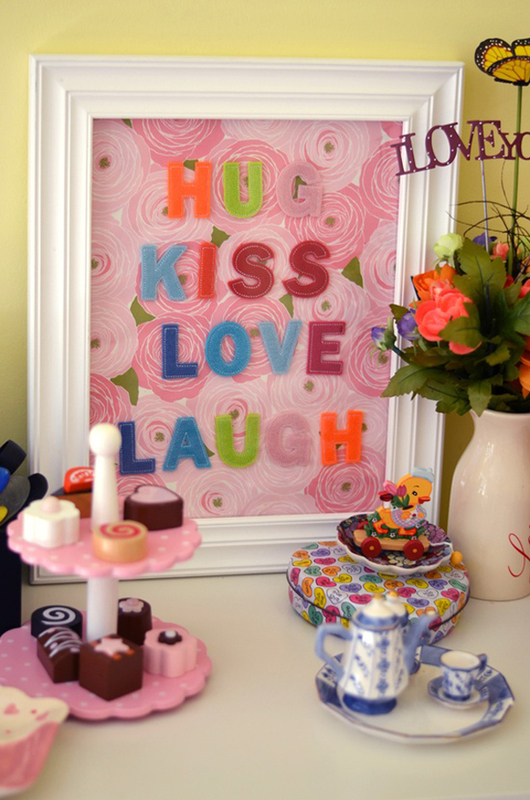 I just love homemade art, especially the lips and polka dots, do easy and fun! these are all great projects! 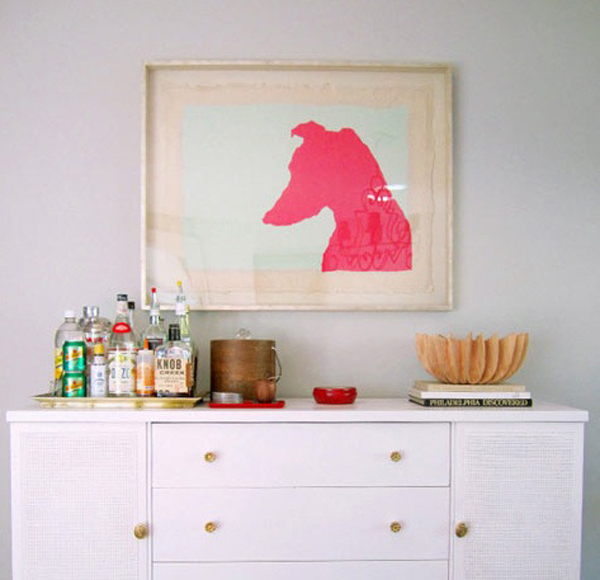 i really need to do more diy art - because it is easy, fun and looks fabulous! always nice to have something unique too. Dots for me! 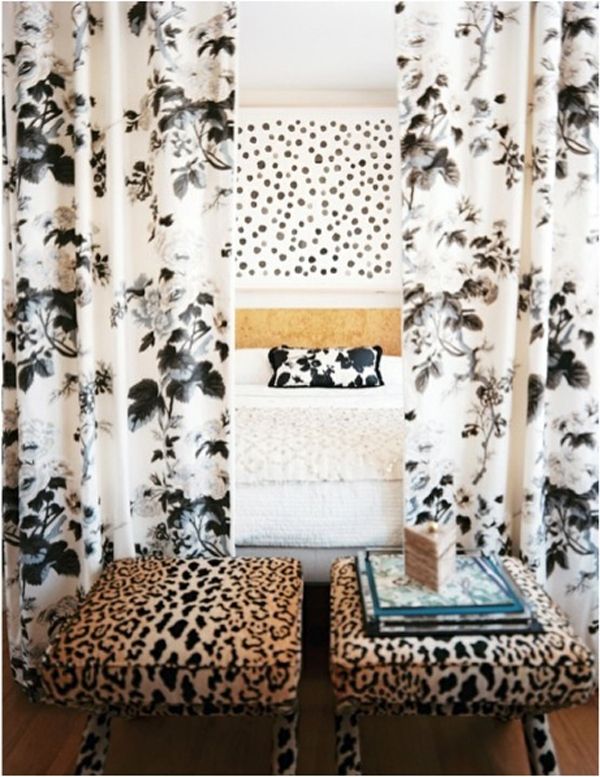 Actually, I like the idea of the pattern playing with others that are similar in the room- just like the example above. We are incorporating a "spots" pattern in my nieces' room and I think that will tie in very nicely. My sister is a make-up artist though and would probably love the lips idea for her vanity or closet area. 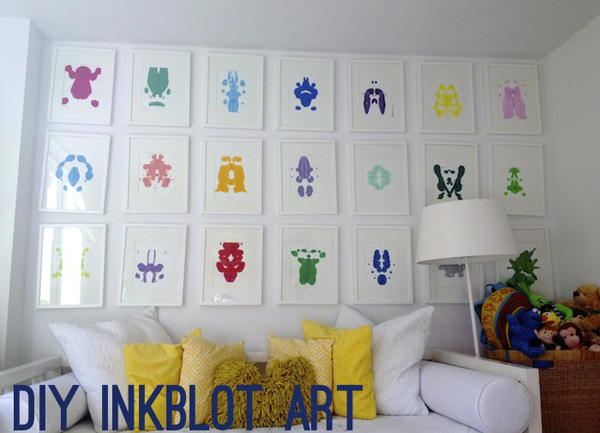 Great round up and post idea Albertina! Love the lips art idea! Great post! Too cute. Great ideas. I love the Q Elizabeth piece with glitter! 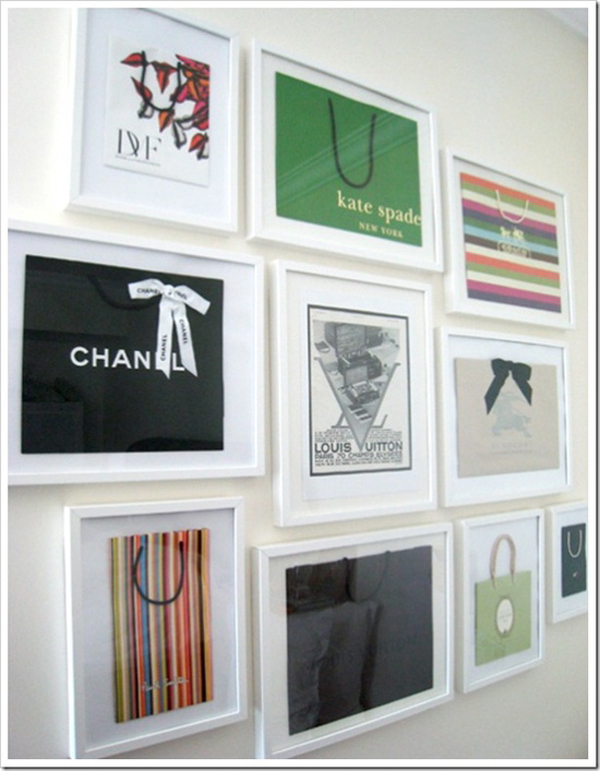 love the idea of framing pretty shopping bags, genius! So much fabulous inspiration here! 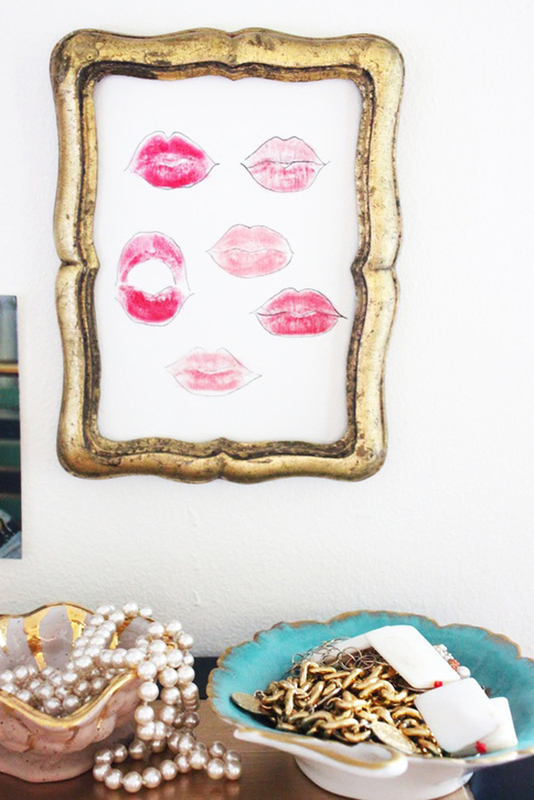 I love the lips art work - I can see that going well in a bathroom or powder room! I love DIY art, and these are so inspirational! I 'm really loving the watercolor book cover...it's gorgeous! those lips are cute, A!! I've actually saved all my designer bags as of late to frame them! I love the way it looks! The lip artwork is so cute. I would have never thought of doing it but now may have to try a DIY! Shoot these are all SO cute. I really love that first one. How adorable! Thanks for featuring my lips print! It's super easy and takes no time at all, you should definitely try it!! A great and simple idea for shopaholic!!! In LOVE with the watercolor book! I loved this post! I've been wanting to do a polka dot painting for what seems like forever! Love the ink blots and the lips, but the book art is my absolute favorite. GREAT ideas, Albertina! I love the Penguin book art- that is gorgeous. 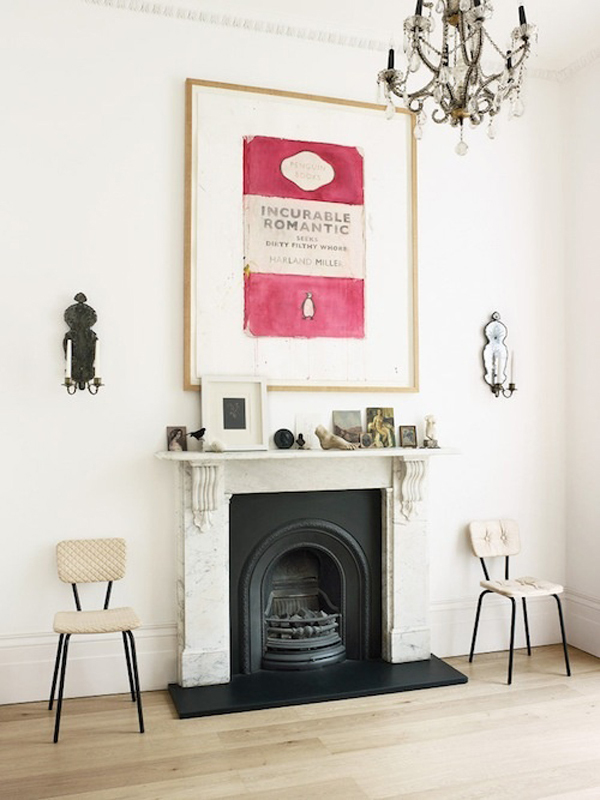 I did a post a while back on the artist Harland Miller (who is fantastic!). Have you seen the diy on Brooklyn Limestone? She created some Penguin inspired art for her nursery that is pretty fabulous. What a fascinating post. I love the lipstick idea - simple ideas are the best and this would look great in a bathroom. I don't like to throw away beautiful bags and the ones you have shown here look so effective in frames. I just spotted a few favourite places too....Ladurée! Will pop over to your Pinterest. This is wonderfully clever, I love it! Love these! I've been wanting to do the framed bags forever! The next time my husband deploys, I'm totally doing the lipstick one and sending it to him! Love that! Love these images and your ideas. so cute!! Love the book cover and the wall with framed bags. Great ideas! Love the bags! I see great bags even at dollar tree! Awesome ideas! !